This might not be terribly interesting, but it cropped up in my mind-web as a blog idea and I want to run with it. It’s a tree of some sort… Probably a big old weed tree like my grey willow; now well over 12 feet tall and beloved by the little birds. 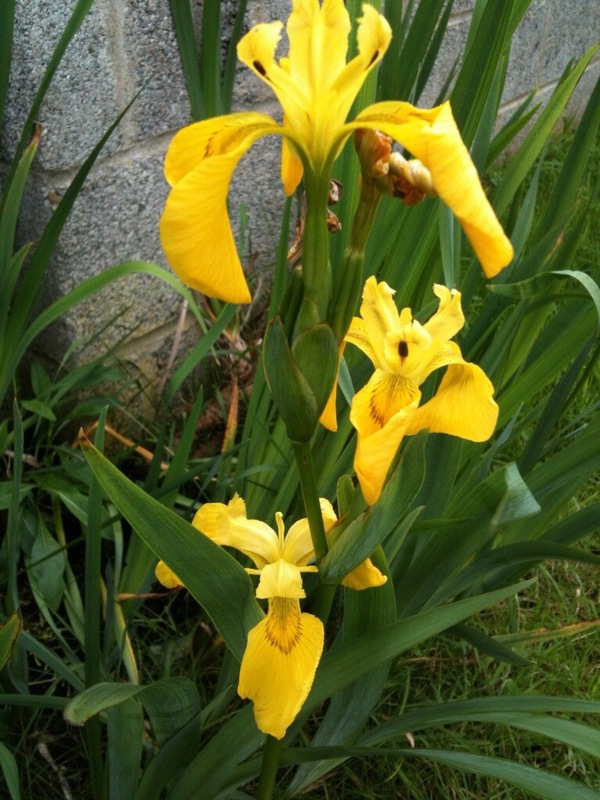 This one is growing in my planter of irises, and I’ve tried to kill it two years in a row by accident. 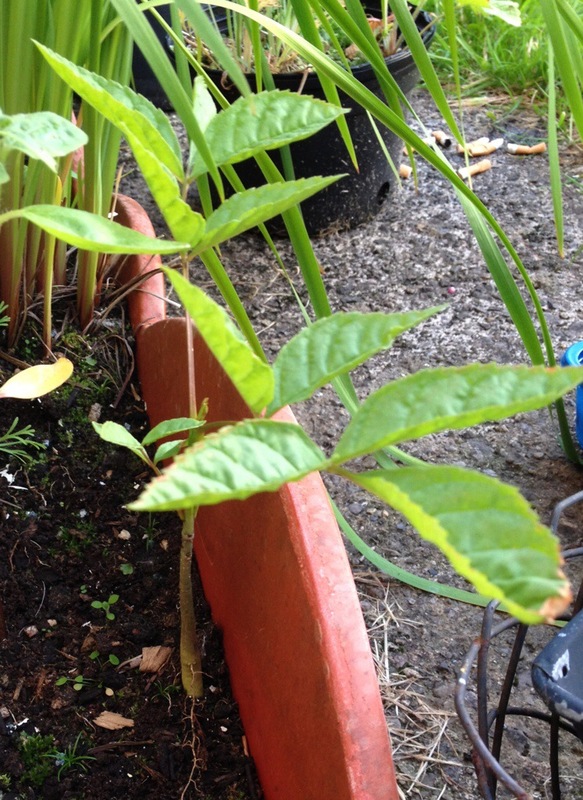 It keeps coming back – maybe an ash tree? I gained a fern last year out of nowhere, too. 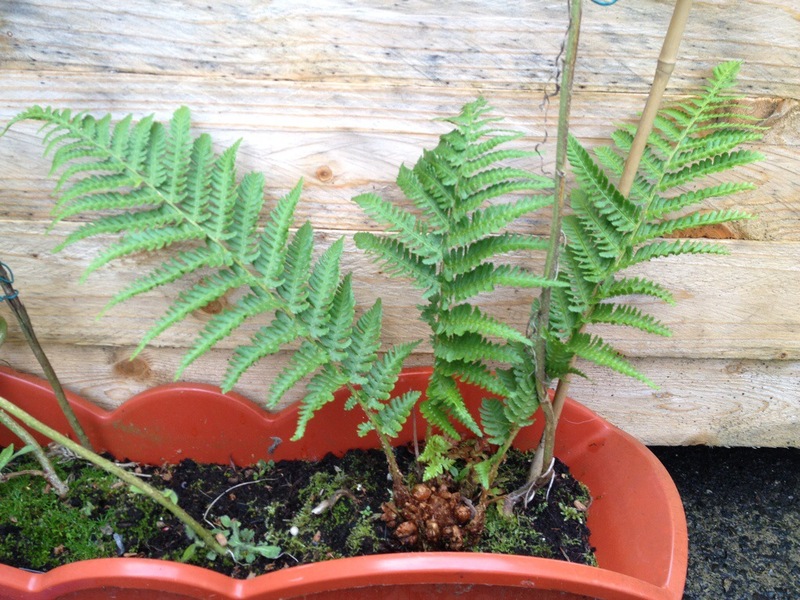 This is either a ‘hay-scented fern’ or a ‘lady fern’. Tending toward the former, as it says primarily grows in western Ireland and likes west-facing land (ticks one box, as it faces south). I don’t mind one bit that it landed here. I dug this up and planted it, a native flowering grass. 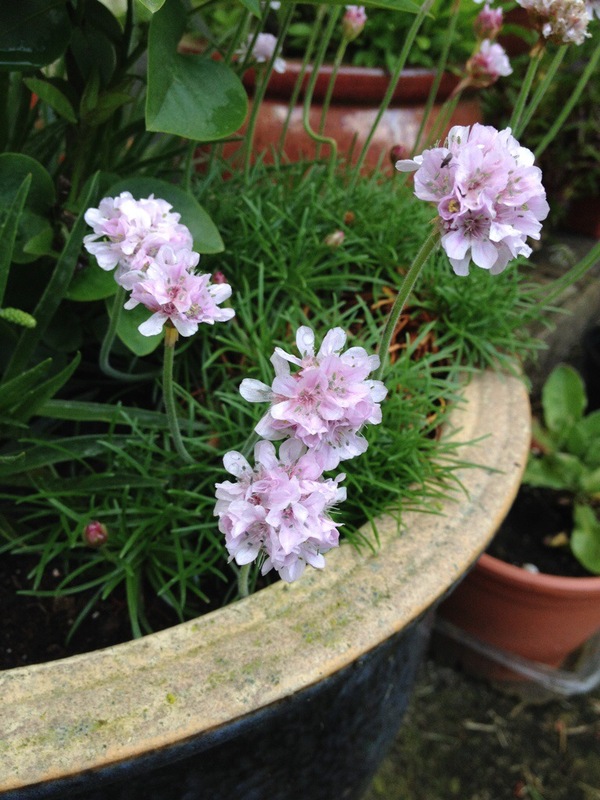 I believe it is thrift, Armeria maritima. My newest arrival was a mystery for the whole six minutes it was in Facebook. 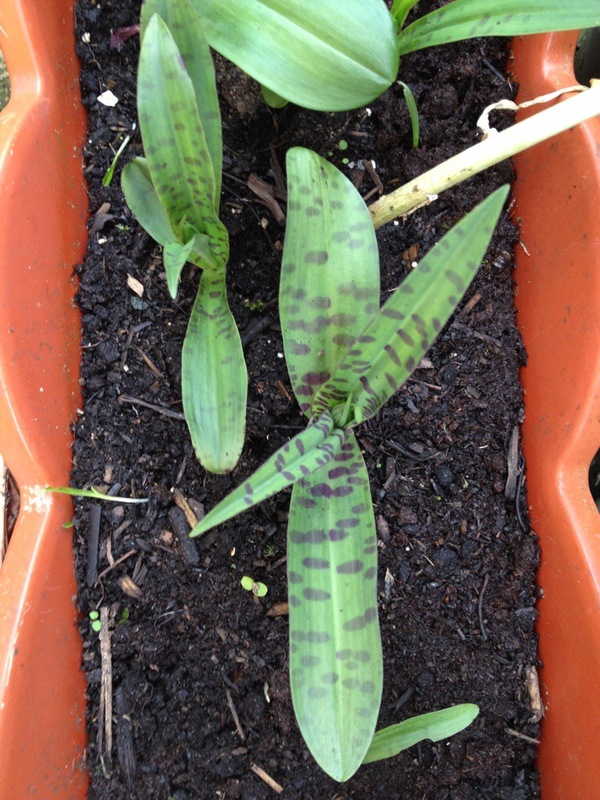 I had a guess, and it was confirmed: native Irish common spotted orchid, Dactylorhiza fuchsii. Did you know that Ireland has at least 14 native orchids? I love what I grew intentionally, but these are some lovely native species that I can’t kick out of the garden. An orchid? How amazing. 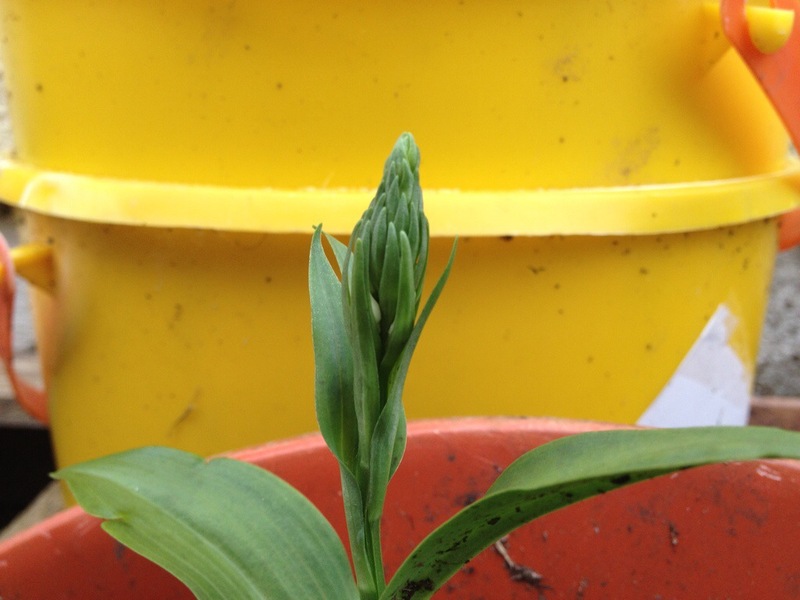 I like your uninvited resident plants – sometimes those are the most hardy. According to my Irish wildlife book, we have at lead 8 ferns. Some are easily excluded, some not so much! I didn’t want to squish a leaf to see if it smelt of hay. Whoever would have thought of smashing and sniffing? Most wonderful indeed but if it is an Ash sappling, you’ll have many more in no time at all! Oh in a minute I am going to wax lyrical about the Tree Alphabet. Sooo pretty. Not “not terribly interesting” at all! I like the idea that they sneak into your garden under cover of darkness and plant themselves… stealth plants!